Train smart and play your best Touch Football! Everything you need to train for Touch Football! Our training programs include Fitness & Conditioning, Speed & Agility training, Strength & Power training sessions designed specifically for Touch Football. Our Touch Football training programs are designed by the Pros to MAXIMISE your sporting performance – used by World Champion Australian National Touch Football teams. Touch Football training programs are delivered instantly by email so you can start training today! Our Touch Football training programs are tailored to your level of experience so it doesn’t matter if you have just started playing Touch Football or if you have been playing for years. All Touch Football training programs follow a progressive 8 week Training Schedule, with 2 – 4 x 1.5 hour training sessions per week – note that each training session includes a combination of field and gym exercises. and Touch Football In Season training. Touch Football Fitness & Conditioning Training Sessions and Exercises focus on developing Touch Football specific anaerobic and aerobic fitness. Touch Football Speed & Agility Training Sessions and Exercises focus on developing Touch Football specific movement patterns and speed development. Touch Football Strength & Power Training Sessions and Exercises focus on Functional Movements, Strength & Power development and then Core Strength. Over 100 Touch Football specific exercises in each Touch Football Training Program. Includes custom Touch Football exercises Power Sprints from 0.5m Box, MAS Grids, Bulgarian Squats. 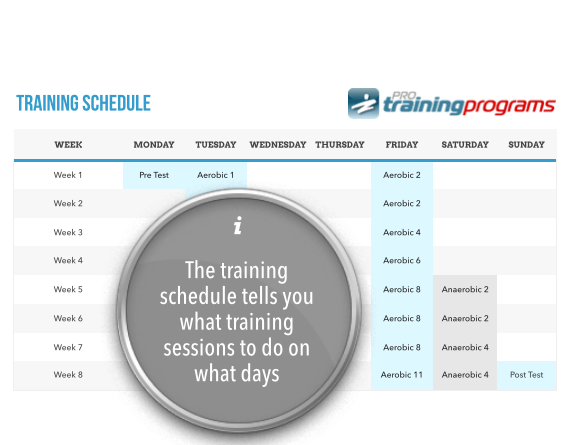 Not all training programs are created equal. Learn more about what makes a great Touch Football Training Program. What we offer is Touch Football specific training programs, written by the best coaches, trainers and athletes in your sport, designed to MAXIMISE your sporting performance!